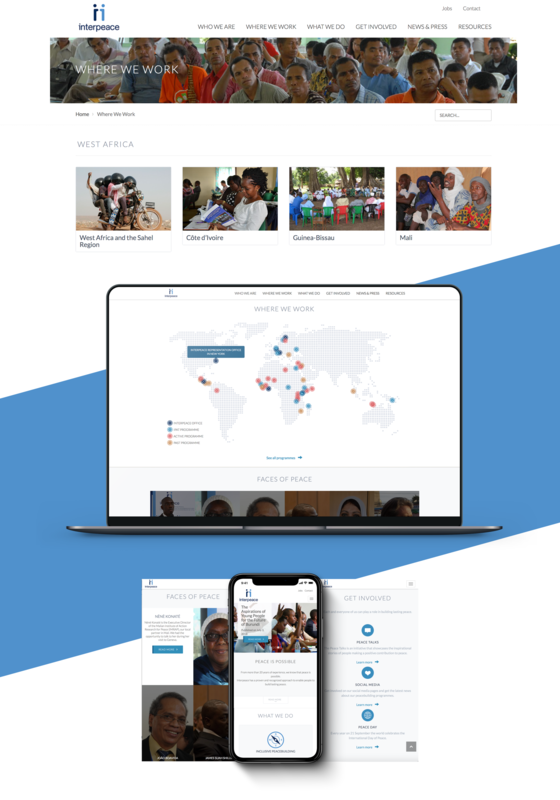 Develop a platform for an international Non-Government Organisation whose mission is to develop the capacities of war-torn nations to resolve conflict using non-violent and cohesive methods. Build a platform that could be easily integrated with existing third-party management and marketing tools. The solution was to build a mobile-friendly responsive website with rich content. We chose a Multi-site WordPress CMS installation for separate global and regional web sites. This allowed local teams to be responsible for the content for their particular region. 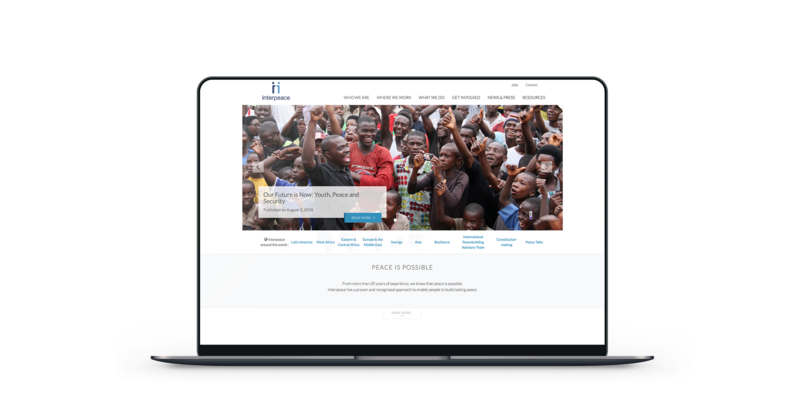 This also meant we could develop plugins and functionality that was unique to one particular country while using a custom Interpeace Parent WordPress Theme.